GENEVA: More than a week of UN-sponsored peace talks ended in Geneva on Friday, the main opposition group said, calling the results "more positive" than previous rounds. "We are closing this round without (a) clear result... but I can say this time was more positive," Nasr al-Hariri, delegation chief for the High Negotiating Committee (HNC), told reporters. "It was first time we discussed in an acceptable depth the issues of the future of Syria and political transition," he added after the talks, the fourth mediated by UN envoy Staffan de Mistura. As in previous rounds, Syrian regime and opposition negotiators did not meet face-to-face, with de Mistura shuttling between the delegations. The talks were focussed on the agenda, rather than getting into the substance of negotiations, with three main "baskets" or areas of discussion: governance, the constitution and elections. 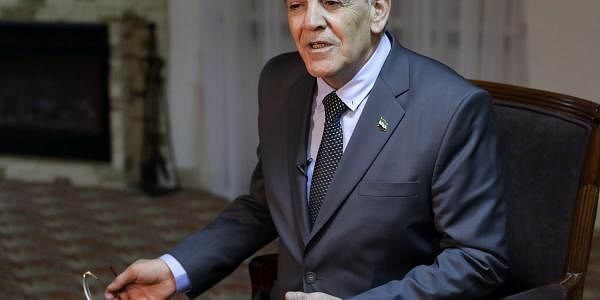 The Syrian regime has tried to get counter-terrorism onto the agenda, while the opposition wants more focus on political transition, specifically the fate of President Bashar al-Assad. "The international silence must come to an end. The international community must speak out .. to put an end to the ongoing massacres that have been taking place in Syria for six years now," said al-Hariri. The Geneva negotiations, the first since last April, are aimed at ending a conflict that began in March 2011 with protests against Assad. Its seventh year begins on March 15. Since then more than 310,000 people have been killed and hundreds of thousands have fled the country, fuelling instability in neighbouring countries and creating Europe's biggest migrant crisis since World War II. The warring Syrian sides have been joined in Geneva by envoys of key parties including notably Russia, a major ally of Damascus.